We presented the Waterbury Symphony Orchestra with a check for $1,235, which was raised from our Quotes for a Cause program in the fourth quarter of 2019. 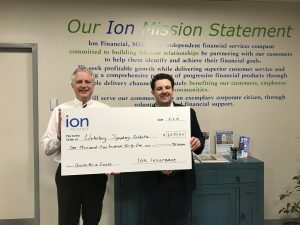 This program was created to help local Connecticut charities every quarter by making a donation of $5 for every new insurance quote provided. A different local charity is selected each quarter.